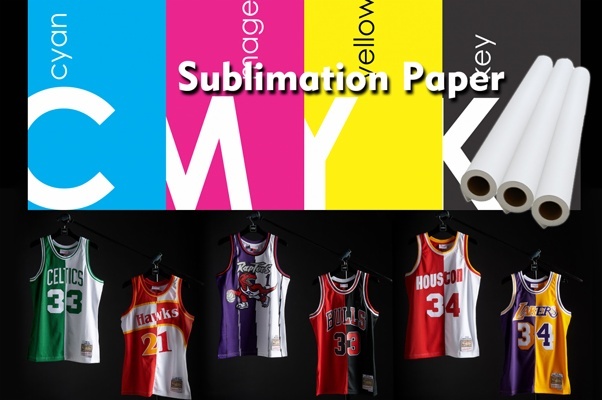 To Know More About Sublimation Paper For Sublimation Printing - Fei Yue Digital Inc.
For sublimation printing ,we all know cotton and polyester fabrics are generally pretty durable, and for use in a parade, I can't think of any reason or usage, rain, snow, sun, or whatever, that would hurt a polyester poplin fabric banner. The dye sub print process permanently infuses the poly fabric with color during the print process so that you can send these banners through the washer without color loss, and a rain storm would be more gentle than your average washing machine, we'd think. This process is somewhat like photo printing in that the tones are continuous, unlike the dot pattern of an inkjet printer. This also is what creates the richness of color, tone, and continuity in dye sublimation printed fabric graphics that catch everyone's eyes. If you're unfamiliar with dye sublimation printing of banners and displays and more, let me explain a little bit about this print process, as it is one of my favorite topics because it produces beautiful, high quality, and durable prints if good printers and inks are used. printing, dye sub uses the dye set CMYO, which stands for Cyan-Magenta-Yellow-Overprint Clear. Natural fibers cannot be used in the print process due to their cellular structure and the chemistry of dye sublimation. Rather than printing direct-to-substrate or fabric as digital printing would do, the dye sub printer first prints to a transfer paper, aptly called "transfer paper." The image is printed in reverse on the transfer paper, and once printed, is removed from the printer and "married" to a piece of olefin based material, typically polyester. Next:What Size Rotary Transfer Machine Suitable For Sublimation Printing Business?